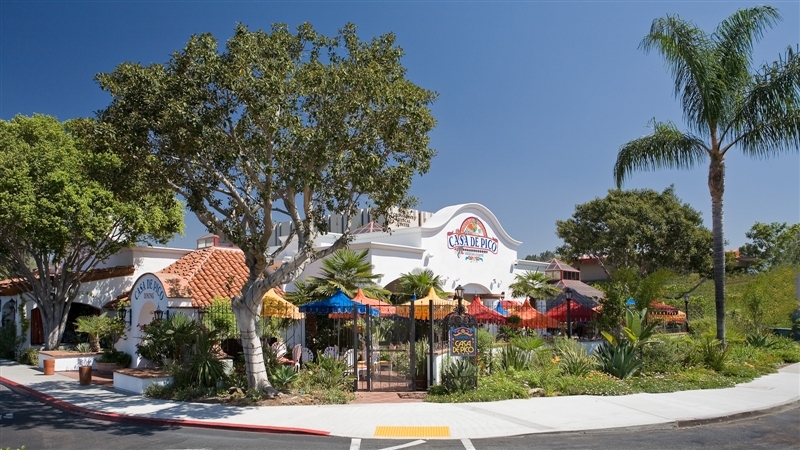 When you think of Casa de Pico Mexican Restaurant what do you think of first (besides the award winning margaritas)? The number one answer: the colorful umbrellas. As many of you know, Casa de Pico (a.k.a. Pico) opened its doors in 1971 in Old Town. Many of the regulars, and out of town visitors, entered via Juan Street. If you were fortunate you’d get a parking space in the small parking lot, but most of us parked on the street and made the short walk to the opening in the fence that bordered Pico. What struck your first, what you couldn’t miss, what people loved to look at, what they loved to sit under, were those colorful umbrella. Like every detail at every restaurant Diane Power owns and operates, the umbrellas were always clean and never faded. They symbolized everything that Pico offered: quality. And Pico flourished their for years. Tourists, conventioneers and San Diego residents all associated Pico with the umbrellas. And came back again and again. Fast forward to 2005. Diane loses her lease after 25 years. But if you know Diane you know she is tenacious and committed to her restaurants. Casa Guadalajara which had opened in 1995 stayed in Old Town. She found new homes for the two of them that were forced to relocate. Casa de Bandini went north to Carlsbad and Casa de Pico went East to La Mesa. And the Pico umbrellas went east to La Mesa as well. And the people followed. If you live in San Diego east of the 15 freeway you probably are like the majority and don’t go to La Mesa often, if at all. The umbrellas have changed that. Many San Diegans now head east on the 8 freeway and see the still beautiful and colorful umbrellas in the Grossmont Center. Pico is located at 5500 Grossmont Center Drive, La Mesa. Call us at 619-463-3267. We’re celebrating our 40th Anniversary for seven months, so ask what the specials are when you arrive. 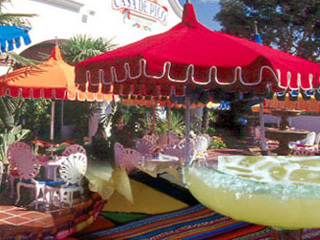 Come and enjoy the food, the mariachi music, the festive atmosphere, the birdbath margarita’s…and the umbrellas. You’ll be so glad you did. 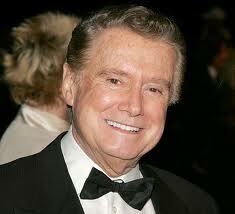 And for our loyal followers, thank you for being so faithful to us over the years. We appreciate each and every one of you. 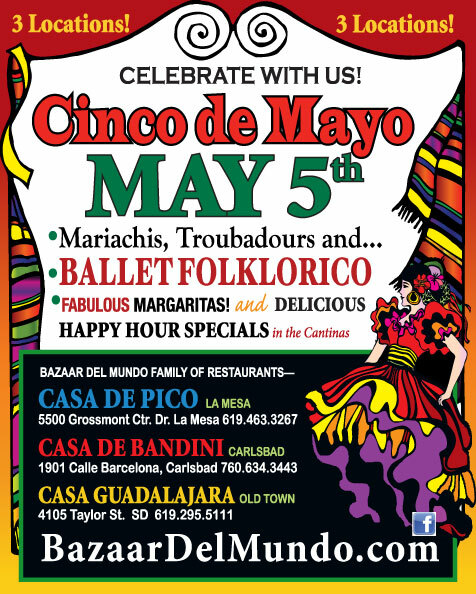 To see our menu, get directions and learn more about the best La Mesa Mexican Restaurant, go to www.casadepico.com.